You’re likely familiar with THC and CBD but how about THC-acid or CBD-acid? These are examples of cannabinoid acids – the acidic form of cannabinoids in cannabis. Essentially, they are precursor molecules to THC and CBD found in raw or unheated forms of cannabis. They do not produce psychoactive effects. However, cannabinoid acids do offer a number of health benefits and promising medicinal qualities -- which we outline for you in this article. So what’s the real story here? In the plant’s raw state, only cannabinoid acids are present. It is only with heat or time that THCA and CBDA convert to THC and CBD, respectively. This transformation process is known as decarboxylation. When cannabis is heated, the “carboxyl group” detaches, aka it decarboxylates. This causes the cannabinoids to become active. In simple terms, heat is what makes cannabinoid acids lose their ‘A’ and become the compounds we’re more familiar with like THC and CBD. In other words, if you consume raw, unheated cannabis you won’t notice any psychoactivity – however you will be getting important medicinal effects unique to these cannabinoid acids. THCA and CBDA though are not the only cannabinoid acids produced by cannabis. 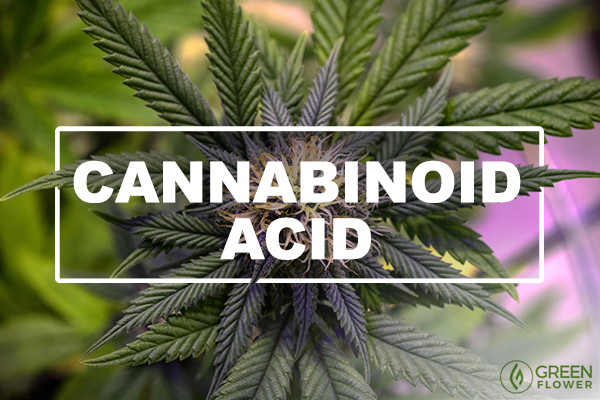 Each cannabinoid acid offers distinct properties and benefits. CBGA (Cannabigerolic acid) is the mother of all cannabinoids. International researchers are discovering new things about cannabis almost every day. CBGA is considered to be a primary cannabinoid. This is because it’s a precursor to cannabinoid acids like CBCA, THCA, and CBDA. Synthases, natural enzymes in cannabis, break down CBGA into different types of compounds such as tetrahydrocannabinolic acid (THCA), cannabidiolic acid (CBDA), and cannabichromenic acid (CBCA). While not nearly as popular as its successors, CBGA does provide medical benefits. It is primarily known for providing pain relief along with being antibacterial. Some research even suggests CBGA displays antiproliferative, or cancer-fighting properties. THCA (Tetrahydrocannabinolic Acid) has extremely underrated medicinal properties. THCA, like all cannabinoid acids, has no psychoactive effects. Yet it does contain a number of astonishing benefits. Studies indicate THCA displays anti-inflammatory, anti-emetic, and neuroprotective properties. In fact, while the research is limited, THCA has shown to helpful in treating insomnia and encouraging appetite. The diverse properties of THCA could potentially treat a wide range of conditions. Of course, more research needs to be done to fully confirm THCA’s medical efficacy. Nevertheless, the current research appears promising. CBDA (Cannabidiolic acid) could fight certain cancers. 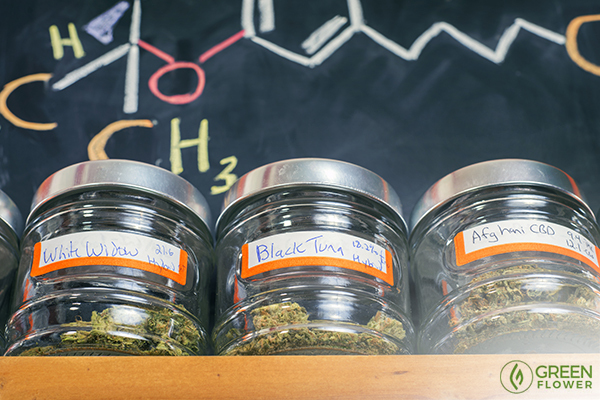 Different cannabis varieties have different levels of cannabinoid acids. CBDA is the precursor to cannabidiol or CBD. While few studies have taken place, CBDA has shown potential therapeutic value in treating certain cancers. A recent study revealed CBDA inhibits the development of aggressive breast cancer cells. CBDA has also demonstrated anti-inflammatory, antioxidant, and anti-nausea properties. CBDA is most abundant in high CBD strains like Harlequin, Pennywise, ACDC, Cannatonic, Charlotte’s Web, and Critical Mass. CBCA is the predecessor to CBC. Currently, our knowledge of CBCA is limited. The research we do have indicates CBCA possesses antifungal and anti-bacterial properties. In fact, a 1981 study showed CBCA displayed strong antibacterial qualities and mild to moderate anti-fungal activity. Some believe that like THCA and CBDA, CBCA is also anti-inflammatory.However, more research is needed to confirm the validity of this claim. CBGVA (Cannabigerovarinic acid) for leukemia treatment? CBGVA is a naturally occurring compound found in cannabis. Like CBGA, CBVA is a building block for other cannabinoids. Through a process of biosynthesis, CBGVA produces tetrahydrocannabivarin carboxylic acid (THCVA), cannabidivarinic acid (CBDVA), and cannabichromevarinic acid (CBCVA). Currently, the research on CBGVA is minimal at best. However, a study published in the International Journal of Cancer Research and Treatment examined the effects of cannabinoids on leukemia cells. Six different cannabinoids, including CBGVA were tested. The study revealed cannabinoids had a positive effect in treating leukemia cells. How to Consume Cannabinoid Acids? To reap the benefits of cannabinoid acids you will need to consume cannabis in its raw form. According to Dr. William Courtney – a leading expert on raw cannabis – juicing is an effective way to incorporate cannabinoid acids into your diet. Juicing cannabis could be your ticket to great health! Courtney suggests that juicing raw cannabis supplies the body with a nutritional dose of cannabinoid acids and terpenes. He advocates these compounds in cannabis are essential to our health. So, how the heck do you juice cannabis? To juice cannabis, you will need to source fresh, clean cannabis leaves. Ideally, you want to find as fresh of leaves as possible. Fresh cannabis leaves contain the highest concentrations of cannabinoid acids. Before consuming, thoroughly cleanse the leaves. Cannabis leaves can contain unwanted microbes, so you’ll want to soak and wash the leaves to avoid contamination. Keep in mind the flavor of raw cannabis is fairly bitter. You can add vegetables or fruits to offset the flavor. 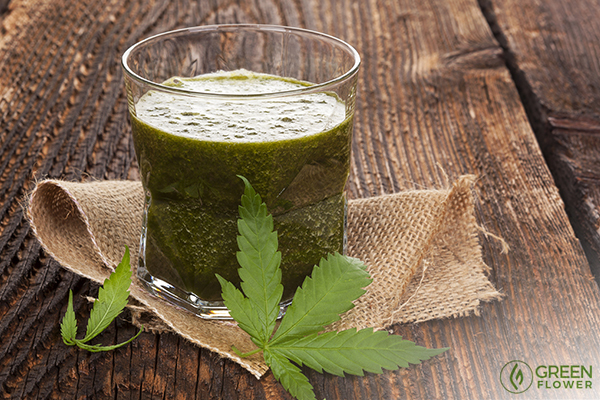 Here are a few cannabis juicing recipes to get you started. It’s important to note that while juicing raw cannabis is the most popular method, it’s not the only way to consume cannabinoid acids. You can also make raw cannabis salads, popsicles, salsas, and more! THCa and CBDa tinctures are also slowly finding their way to the marketplace. However, they can be difficult to find. 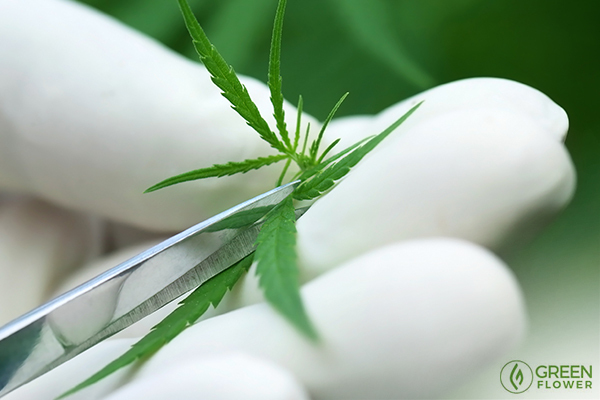 What’s Next for Cannabinoid Acids? We still have a long way to go when it comes to our understanding of cannabinoid acids. The research we have up until this point has been primarily anecdotal. While a few studies exist, they are few and far in between. Certainly, we are not at a point where we can claim the medical efficacy of these claims as absolute truth. Yet, patient testimonials and research show us the potential here is huge! In fact, we may find that cannabinoid acids are key to supporting our optimal health. Consume Raw Cannabinoids with Cannabis Juicing! Do you want to learn more about how to grow your own cannabis?